Proficiency in the area of emergency preparedness under a wide scenario of possibilities. There are approximately 2,700 monitoring centers in the United States that communicate and interact with police, fire and emergency services agencies. 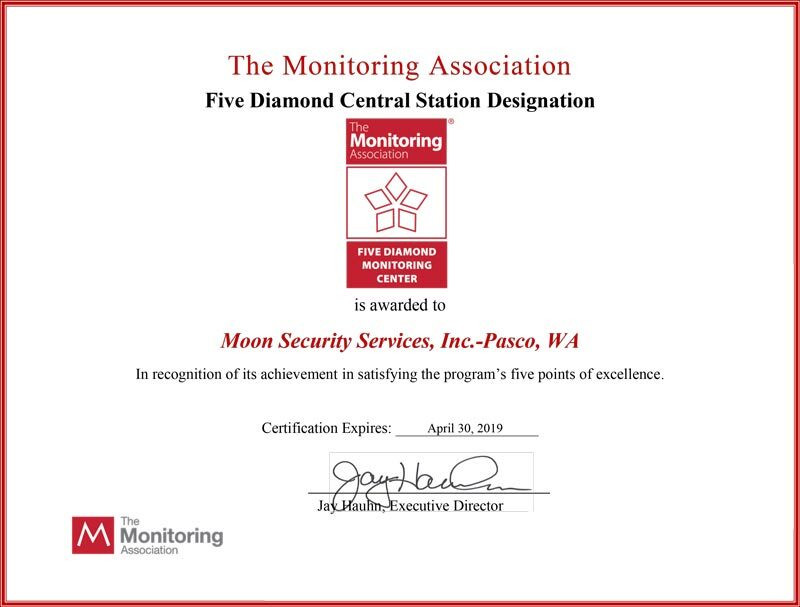 Of this group, fewer than two hundred monitoring centers have achieved the Five Diamond designation, setting these companies apart. Learn more about Moon Security and our services for residential and commercial security including camera, sensors, home automation and more.